Are you after birth chart astrology 4th house interpretations? If so, then you have come to the right place. The interpretations below can be used for both Western and Vedic (Kundali) astrology birth charts. 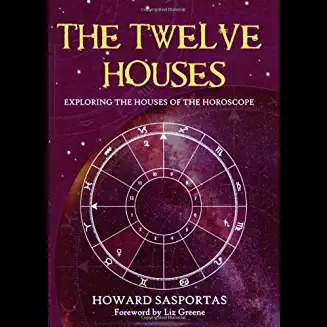 Location on birth chart wheel: It is house number 4. Having your own home life is probably of number one importance to you. Things like achieving fame do not bother you; a warm and secure home is what you care about most. Being a naturally quiet and private person, you keep your feelings to yourself. The attitudes of your parents, especially your mother, have dramatically influenced you. Your father probably took charge of the family when you were young. You enjoy doing DIY around the house and keeping a lively, intellectual atmosphere in your home. You have an incredible memory, and probably quite interested in history, psychology, or politics. Being traditional in your thinking, you are not one to accept extravagant or new ideas quickly. Your parents are likely to be well educated. Your mother is the type of person who seems to be on edge most of the time and rather anxious. If you have your own house, you like to be surrounded by comfortable, quality, or luxurious items. Also, there is likely to be an artistic touch, perhaps in the way it is decorated. This is something you have a great eye for, and can add a nice personal touch to any interior design. When it comes to romance, you are very soppy, showing affection through nurturing and sympathy. However, you never give your heart out easily, but when you do, you do it with great emotion. Becoming attached to a partner is very easy for you, but be careful not to be overly dependent or too smothering. You have an excellent relationship with your family, enjoying many celebrations and parties together. Being loved by your parents is more important to you than to others. Your mother is a charming and beautiful lady; during your childhood she was very overprotective of you. Near the end of your life you may experience financial gain. A great deal is learned from your parents; they are a major influence in your life, especially your mother. It is likely you were an only child, and therefore received a lot of loving attention. You dream of, and probably will achieve, a large or spacious home, or maybe you will just settle for a great view. Your dad was a fun-loving type, and probably thought he understood everything. If you are into self development, you will use spiritual rather then psychological methods. Meditation may also be of interest, and is something that you mother probably enjoys too. Your home during childhood, and even as an adult, will be unusual in some way. It could be the furnishings, the décor, or even the structure or location. It gets people’s attention as it is different from the norm. Also, your home is probably filled with many electronic gadgets. Sometimes there is a conflict between your need to be your own person, and perceived obligations to your family. In other words, you want to keep your parents happy, but also need to break away from any family traditions, and do things your way. You mother is an eccentric or creative individual. Early home life during childhood was somewhat confusing for you, probably due to a confusing, absent, or preoccupied parent figure. This parent is likely to be your father who you idealize very much. Because your home life was confusing or chaotic in some way, you failed to achieve a strong sense of identity as a result. As an adult, you seek a stronger sense of home, family, and nurturing in your life. There may be some kind of behind-the-scenes problem in your home life, such as alcohol or drug abuse. You may have a strong desire to live near the water. Your childhood was spent in a dream world of imagination. It is very likely you can play a musical instrument. Did you enjoy these birth chart astrology 4th house interpretations?